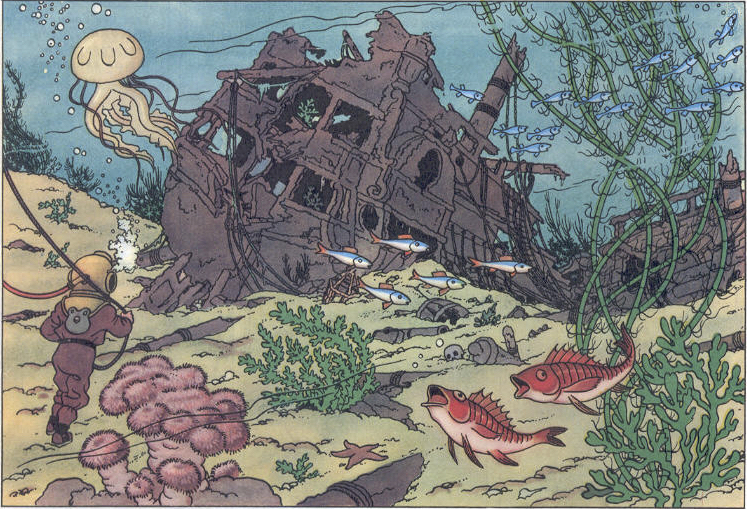 Alien Explorations: Herge's Unicorn Shipwreck also references Wyndham Lewis's Battery Shell? Herge's Unicorn Shipwreck also references Wyndham Lewis's Battery Shell? 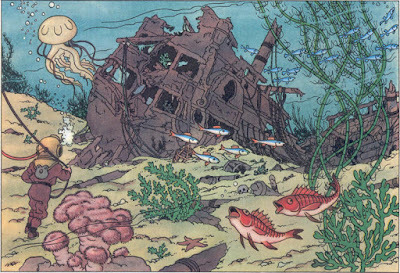 Shipwreck from "The Adventures of Tintin and Red Rackam's Treasure"
a) For instance the group of men in the centre become the sea weed in the centre of Hergé's drawing. Lower soldier helmets become corals. One of the men to the left, holding a cigarette becomes Tintin in a diving suit pulling the rope. 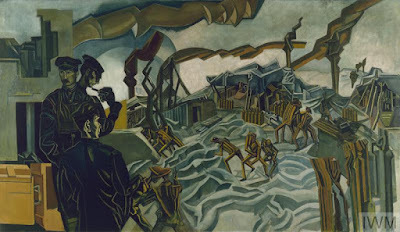 A slanting wall becomes the a rope being pulled.